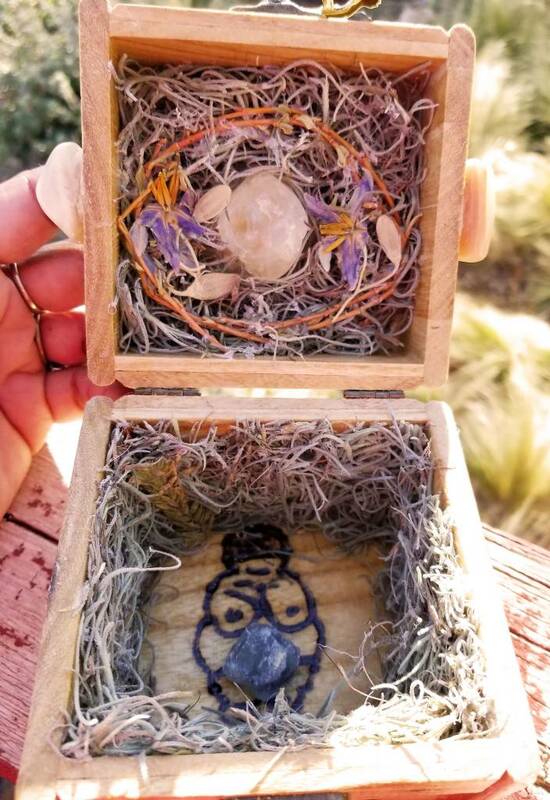 The creative progression of the Willow Blossom and Nightshade Fat Goddess Spellbound Box was long and intense but she was worth it! In this society loving fat bodies takes some serious work (magickal and muggle based!). Just when you think you have the reached the pinnacle of fat positivity, something comes along to remind you that there is always room for growth and more learning. 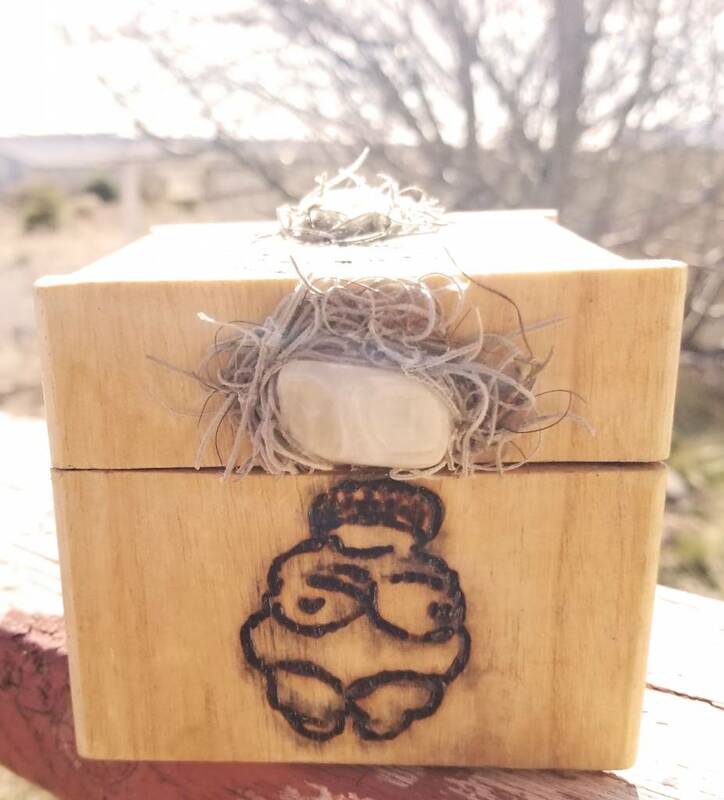 As a fat witch who is unapologetically militant in my stance on the importance of fat and body positivity, I was beyond excited to work on ritual boxes spellcast with an abundance of glorious fattie goddess magick. However, once I started the first ritual of blessing the wood, a growing sense anxiety started to creep up on me. 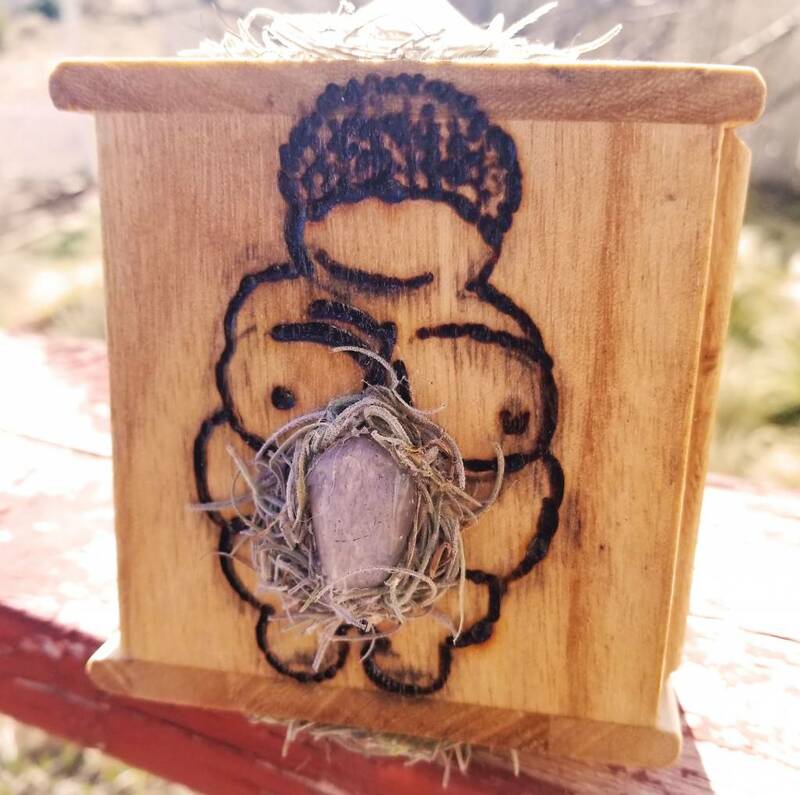 By the time I began the ritual wood burning, I was fighting full blown panic and I couldn’t figure out why.Then it hit me….all of the rituals and spellcasting I was undertaking working on the ritual boxes were a reflection of how I wish every fat bodied person was treated in their lives and the process was taking me on a rollercoaster of memories that centered around times when gentleness or care wasn’t taken with me because of my size. I wasn’t just blessing the fat bodied Goddess Ritual Boxes, I was blessing and healing myself. As I was creating portals of magick covered in fat bodies, I was forced to acknowledge that my own beautiful fat body is a powerful portal of magick itself. It’s my wish that you all recognize what beautiful portals of magick you all are!